Providing Concise Answers that Highlight Your Relevant Skills. This task is threefold—of course making it even more difficult to perfect. First, you have to listen to the question. That may seem obvious, but during the stress of an interview, it’s easy to find your mind wandering to what you should be doing rather than listening to the question. But really, how can you answer a question properly if you haven’t heard it? Once you’ve heard and processed the question, you have to figure out how you want to present yourself in your answer. This must happen quickly; luckily you are the expert of your past experiences and skills. The tough part here is making sure you actually answer the question the interviewer is asking rather than simply listing what can already be found on your professional resume. Finally, you must be concise. Your interviewer doesn’t want to waste their time listening to you ramble. So be clear and confident, but remember, not everything you’re thinking needs to be said right at that moment. Paying Close Attention to Your Body Language. When you’re focused on providing concise and relevant answers, it’s easy to forget that there is more to communication than what you say. Nonverbal communication is of equal importance. Think about it. I’m sure you remember every limp handshake you’ve received from one person or another—even though you may not remember their name! Similarly, your interviewer will remember if you slouch or jiggle your leg, even when they can’t remember that extracurricular you mentioned. Make Eye Contact with your interviewer. Don’t stare them down, but don’t be afraid to look them in the eye, either. Eye contact will make you appear more confident and credible. 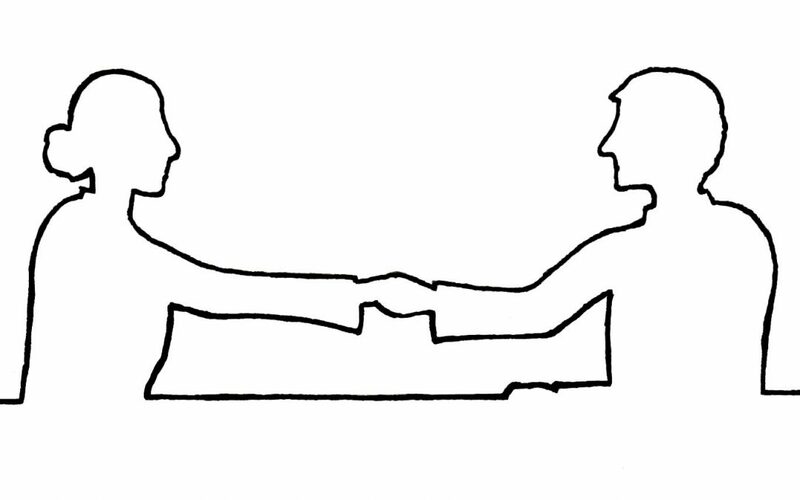 Have a Good Firm Handshake. Your handshake is your first and last impression with your employer so make it count! This isn’t a competition; don’t squish their hand, but you want to be strong. Confidence is key here, too! Sit Up Straight. Slouching will make you appear lazy and that’s the last thing you want! Sit up straight like a hard worker. If anything, lean forward to show your interest. So, as you get yourself out there, remember interviews are hard, but they get easier with practice. There are so many tips and hints online, but what really matters is your ability to communicate your passion for the work. Help yourself by remembering your body language and providing concise answers that highlight your relevant skills. Working with Evolution Coaching will leave you with the confidence and empowerment you need to nail any interview you enter! Take advantage of our Interview Coaching with one of our many certified career coaches and start making a difference in your future, today!